(XBox Wire)– At Xbox, we’re always looking for ways to offer a variety of options for every fan. 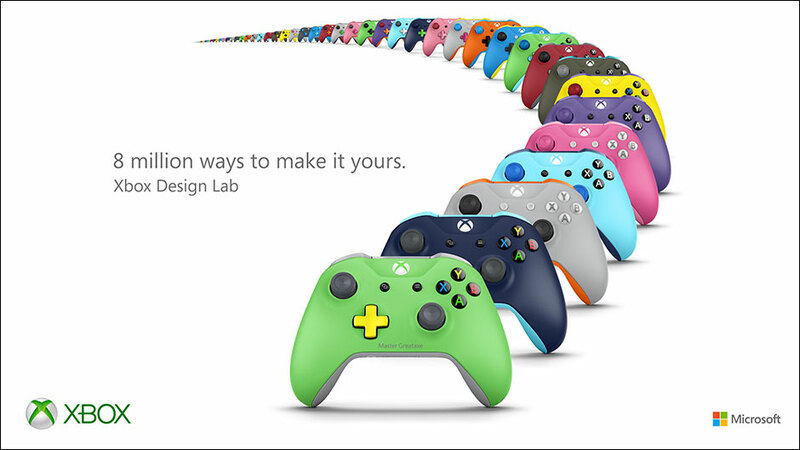 To give our players even more choice and personalization with their Xbox experience, we are proud to introduce Xbox Design Lab, the first online customization program we’ve ever launched that offers more than 8 million different color combinations to choose from, so you can make the new Xbox Wireless Controller your own. With Xbox Design Lab, every controller is an official Xbox Wireless Controller and it’s made to order. Customize the controller body, back case, D-pad, bumpers, triggers, thumb sticks, ABXY, View, and Menu buttons with various color options. You can also take things a step further and personalize the controller with laser engraving to add your name, Gamertag, or custom 16-character message. If you’re in need of inspiration, existing designs shared by other Xbox fans can be found on the Community Gallery and used as the starting point for your own design. All designs can be saved once you sign in, and you can share them directly via email, Facebook, Twitter, Xbox Activity Feed, and Pinterest. Xbox Design Lab controllers feature all the improvements that we announced with the new Xbox Wireless Controller that comes with the Xbox One S. Your custom controller will also be compatible with the original Xbox One, and features enhanced comfort and feel with textured grip, improved wireless range, and Bluetooth technology for easier wireless connectivity to Windows 10 PC devices. We’re excited to bring Xbox Design Lab to even more markets in 2017 – and, as always, we’re continually listening to fan feedback and encourage you to share your experiences through Xbox Feedback. With Xbox Design Lab, the next Xbox controller is truly in your hands, and we’re excited to see all the cool creations that our fans make!